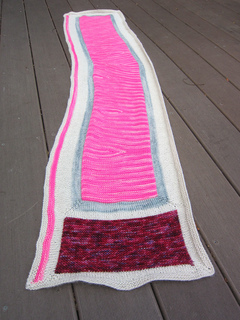 sample is 58 inches long by 13 inches wide; this pattern is easily customizable! 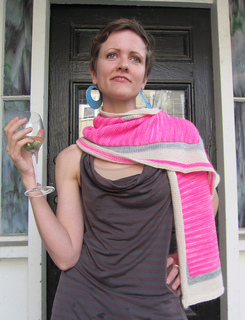 This recipe for a modular scarf was inspired by the stunning colors of The Fiberists’ yarn. I challenged myself to create a scarf that incorporated one of The Fiberists’ most saturated, vibrant colors (I called it the “adventure” color), pairing it with more muted colors from my stash to both make the vibrant main color sing and create a more versatile garment. Not a fan of printing from blogs and other websites? You can customize what photos and content print from the fibre space blog by using the handy print tool at the bottom of the post!